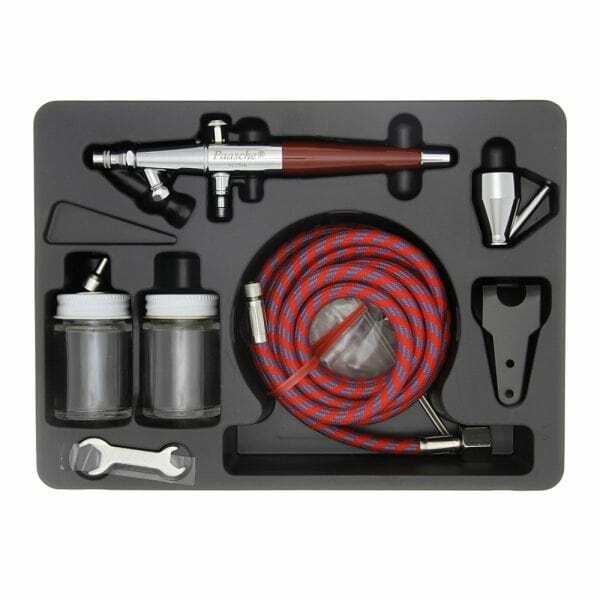 The Paasche VLS double action airbrush has unique threaded bottle connection for a secure paint bottle fit. As it comes with all the spray heads you need for most applications, it’s good value for money. 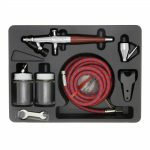 Its PTFE packing allows the VLS to work with either water or solvent based paint, while the roller in front of its trigger turns it into a single action airbrush for users who want simpler control. Cleaning the Paasche VLS is as simple as spraying the paint cleaner through the airbrush and wiping the needle. *Clean dry air is essential for best results. 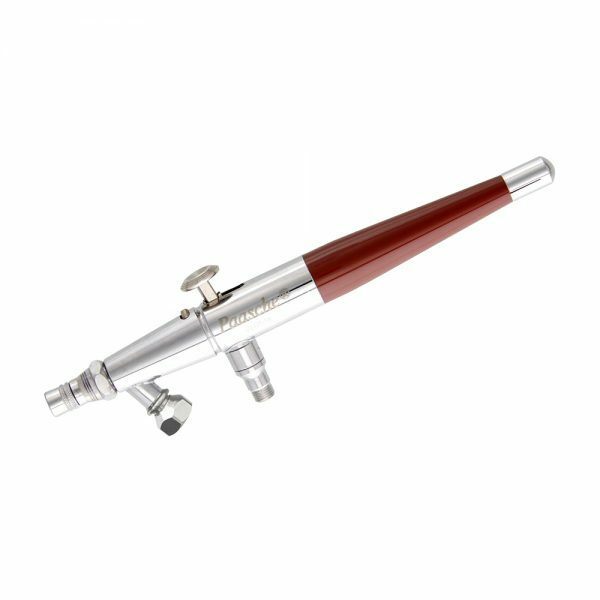 Paasche VL, which is the same as the Paasche VLS, but without a screw-in bottle adapter.